Looking to plan for retirement or need help with your company retirement plans? With more than 20 years of experience working through bear and bull markets with a full range of investments, Ross Mueller, CFP®, seeks to help you get to where you want to go. Began his practice in 1994 with Edward Jones; went on to spearhead the creation of CitizensFirst Wealth Management Division in 1996 (now Verve Wealth Management) through April of 2018. May of 2018 Ross opened his own office operating as Mueller Wealth. Completed the CFP® Certification Professional Education Program through the College for Financial Planning, one of the most respected credential in this field. Is your advisor a CFP®? 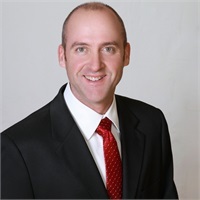 According to the Oshkosh Northwestern; Ross was voted one of the Best Financial Planners when his practice focused on Winnebago County in 2013. 2015 Ross was ranked #11 out of 180 advisors in the Midwest servicing financial institutions by LPL Financial. 2016 Ross was ranked #10 out of 216 advisors in the Midwest servicing financial institutions by LPL Financial. 2017 Ross was ranked #8 out of 215 advisors in the Midwest servicing financial institutions by LPL Financial. Ross is married and has two boys - and the house is still standing! He enjoys spending time with family and friends, as well as hunting, fishing, racing ATVs, golf and archery.